How Can Cities Fund Themselves for Adaptation to Climate Change? Despite a growing acknowledgment for need for cities to adapt changes presented by climate change, the question of adaptation finance remains uncertain. Often unable to access global climate funds, cities must seek out alternative sources to support their adaptations to climate change. In her thesis, Toral Patel (MCP ’14) examines the particularly challenging environment for local governments in India, where incomplete fiscal decentralization resulted in developmental deficits and resource constraints. Using Surat, Gujarat, as a case study, her research examines how cities in India might fund climate adaptation despite limited fiscal and administrative autonomy. It furthermore explores how the urban finance system might affect the implementation of climate adaptation strategies at the city level. The study of Surat suggests that cities can effectively marshal funds from international, national and state sources to invest in climate adaptation. However, relying on external sources for funding has required trade-offs between policy agendas, resulting in a fluid understanding of “climate adaptation” on the ground. 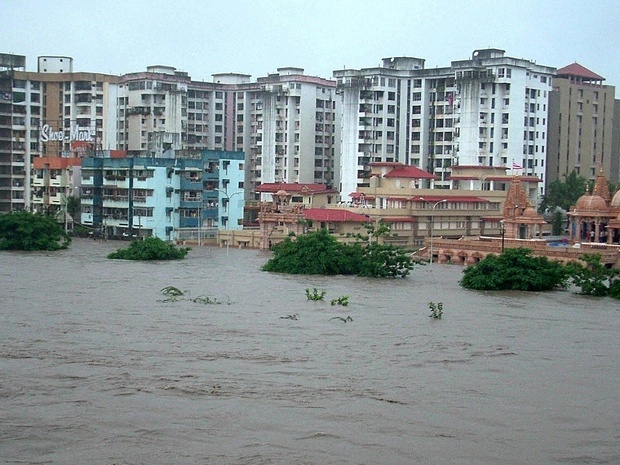 While the urban finance system appears to have encouraged experimentation in Surat, it may constrain the effectiveness of climate adaptation at the city level. In addition, limited fiscal autonomy has hindered access to alternative sources to finance, such as public-private partnerships and municipal bonds. Combined, these factors have contributed to a project-based approach that may compromise longer-range and comprehensive adaptation plans. To further cities ability to adapt to climate change, Toral identifies experimentation and innovation in financing climate adaptation as the crucial elements. Read more about Toral’s work in her thesis. Posted on October 2, 2015, in climate change, finance, funding and tagged cities, climate change, climate risk, financing, India. Bookmark the permalink. Leave a comment.